One day the members of Harafromhell decided to form a punk band... and immediately realized they have no idea what it takes to be punk. So they decided instead to just be themselves and make the best music possible from the heart. Harafromhell originated in Dec 2010 when Hara and Ishizuka, guitarist and drummer respectively from the band Nekoze, joined forces with singer songwriter Tatejima Yoko to form a melodic pop-punk band with female vocals. Melodic emo/pop-punk bands are a dime a dozen but what separates Harafromhell from their peers is the drive and ferocity of their live performances. 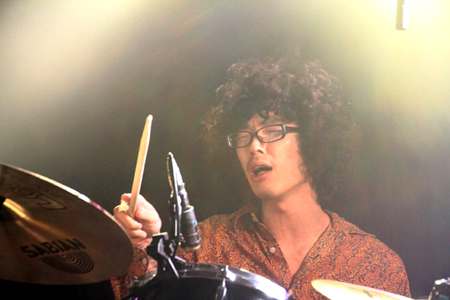 Ishizuka is a BEAST on drums, relentlessly punishing his kit as if holding a grudge against it. Singer Tatejima is normally reserved when performing solo with an acoustic guitar but with Harafromhell she loses her inhibitions and becomes much more dynamic. Guitarist Hara plays with the intensity of a demon.. from hell (hence the band name). 2nd guitarist Yamaguchi is the sole introvert who chooses to focus diligently on hitting his notes and chords. 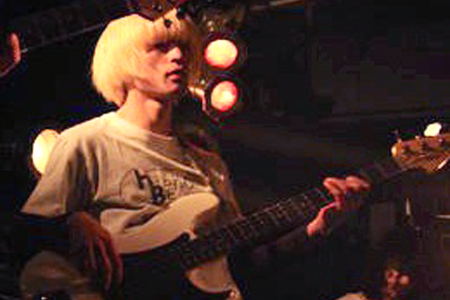 In October 2012, original bassist AGO was replaced by Kuroki who, like Yamaguchi, has a cooler demeanour but the energy of his fellow band members is slowly beginning to rub off on his playing style. Harafromhell may lack the virtuosic skill of mouse on the keys and チーナ (chi-na) or the menacing wall of noise capable of Kinoko Teikoku but the catchiness of their music coupled with their turbocharged live performance may make them underdog favorites in May.